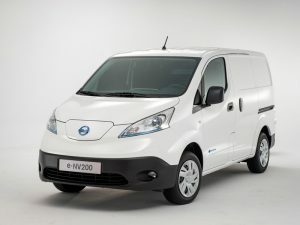 20 Nissan e-NV200 electric vans will be added to the fleet operated by Fortem, a provider of repairs and maintenance for housing association and local authority properties in the UK, by the end of 2018, as the company seeks to reduce its fuel bill. Following a successful trial in 2015, Fortem ordered two e-NV200 battery electric vans for its Rotherham depot, quickly followed by another two at the same site plus a further eight vans to be added at their Birmingham site in 2018. The vans have so far been used primarily as pool vehicles for supervisors to carry equipment, the company said. Fortem has estimated fuel savings of £1,500 per year thanks to its current fleet of 12 e-NV200, but expects savings to increase by adding more electric vans. The vans have also offered lower running and servicing costs when compared to equivalent diesel vehicles, the company added.For more of the latest industry news click here.